Snapchat seems to plan or are in the process of making an AR device after reportedly joined the Blutooth Special Interest Group. Snapchat ambition to create an AR device is more clearly. Previously in March 2014, Snapchat bought a Google Glass-esque startup called Vergence Labs and has recently been hiring a bunch of wearable technology and eyewear experts. This is reinforced by the joining of Snapchat with the Blutooth Special Interest Group. As the Financial Times reports, membership to the wireless standard group is essential for any company that wants to add Bluetooth functionality to its physical products. This plays nicely into rumors from earlier this year that suggested Snapchat was building a secret hardware lab with former Nokia and Logitech staff. Last month, C.E.O. 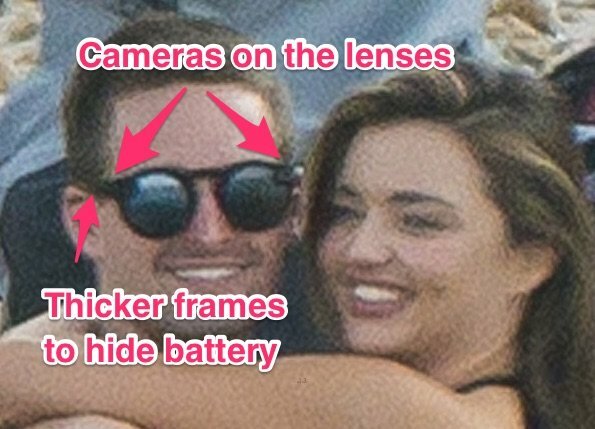 Evan Spiegel was photographed during his trip with Miranda Kerr wearing something like a prototype of a smart-glasseswith cameras on each side. Now, more evidence points to Snapchat’s hardware ambitions. Another clue come from CNET report this year, which states that Snapchat may be working on a AR device with Google Glass–style after hiring people including eyewear designer Lauryn Morries who is eyewear designer that had designed sunglasses for Zac Posen and Michael Kors. Lauryn Morries been working at Snapchat since November 2014, according to LinkedIn. Now we have a picture about what it would be like, the AR device that is being developed by Snapchat. After joined the Blutooth Special Interest Group, there is a possibility of this device will use Bluetooth to connect with the app. Snapchat, which has 150 million users, has expanded its features to include instant messaging, the ability to send pictures taken earlier, and a news section, and now they expanding into hardware section.